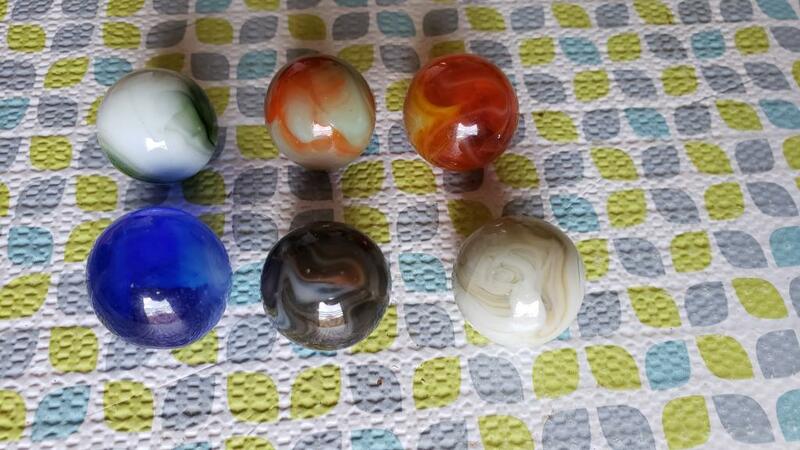 So brief story, met a fellow veteran that was selling 1,600 marbles. I took a look at the pics and decided to jump on the offer. I met with him this morning and he tells me that he used to work at a Antique store in Pennsylvania and that's where he got them from. 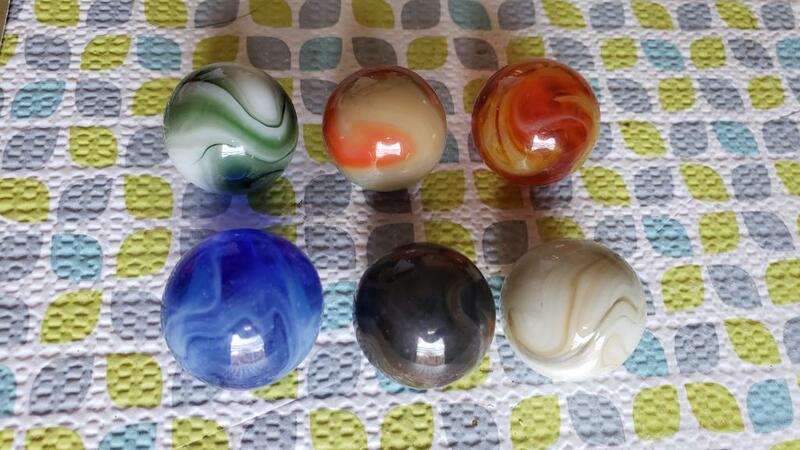 I will be posting pics of those marbles but I have a strong feeling that most are jabos and in 9-10 condition on most of them. Here's a few of the 1 inch ones that I don't know what they are..besides beautiful.